‎"Bashi" is one of the most popular sports played by women in Maldives. It was traditionally played with a ball made of woven coconut leaves. The game is played between teams with a player from one team hitting the ball across the net with her bat while the fielders from the other team try to catch the ball. instead of the woven ball. 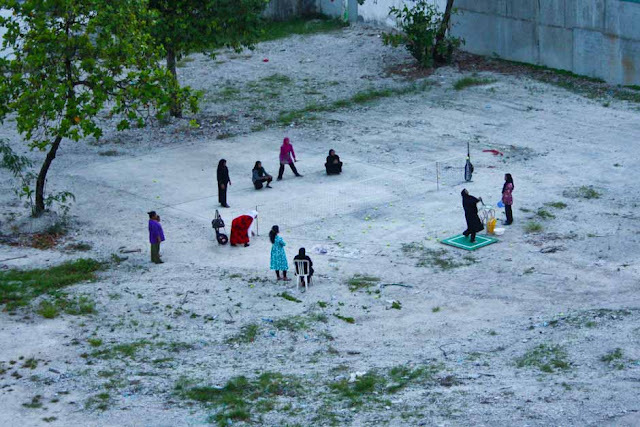 Later the wooden bat was replaced with a tennis racket and now the sport has become so popular in the islands that Bashi teams regularly travel within and outside the atolls to play competitive games.